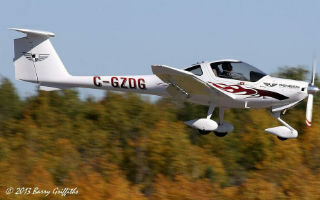 We have three separate discovery packages available to better serve the unique interests of our flight students in Barrie. Have you ever wondered what the Barrie, Ontario area looks like from the view of a bird? Would you like to enjoy the freedom of flight while taking over some of the basic controls in an airplane? If you are ready for a thrilling flight experience like none other, at Genesis Flight College, we want you to look into our discovery packages. After departing from the airport, you will take control of the aircraft when you purchase one of our discovery packages. The qualified instructor overseeing the flight will teach you how to control the plane and ultimately open up your eyes to the excitement of flying. Diamond Quick Start–With this package, you receive 30 minutes of training and 20 minutes of flying time in the cockpit of a Diamond aircraft. HD Discovery Flight — Of all of our discovery packages, this one is the most comprehensive. It features an hour of training, including a classroom session and ground briefing, and 40 minutes of flight time in a Diamond aircraft. You will also receive an HD video of the entire flight. Student Starter Package — If you are a beginning flight student, this package is for you. This discovery package features two DA20 training flights, access to a variety of training materials, ground school enrollment, and ground briefings. Contact us at Genesis Flight College today to find out more about the discovery packages we offer. We look forward to hearing from you! At Genesis Flight College, our discovery packages are available to residents of Barrie, Toronto, Collingwood, Aurora, Brampton, Caledon, Markham, Newmarket, Richmond Hill, and Vaughn, Ontario.